Tools to remove Double Spacing Error from your Typing Jobs Projects? Lots of user making mistakes of double spacing while the type any text. We have noticed that in a 1000 word typing projects assignment/text matter there is 5-10 error of putting double spacing. According to proofreading work, providing double spacing is a big mistake. Its make your projects ruin and suspend for future projects. How so to overcome this unprofessional typing mistakes? Step 1: You can use either MS Word or notepad to solve the issue. First of all, move your pointer to the top of your assignment. (from Where you have started the writing) The checking process will start right after your cursor. So any text goes to the left side of curser will not be checked. Be sure to put the cursor right way. Step 2: Press Ctrl+H and you will see this type of dialogue box. Step3: type <Space><Space> in find option. Step 4: Now Type <space> in replace option. Step 5: Click Replace all, and this will count you how much double space will be replaced with single space. 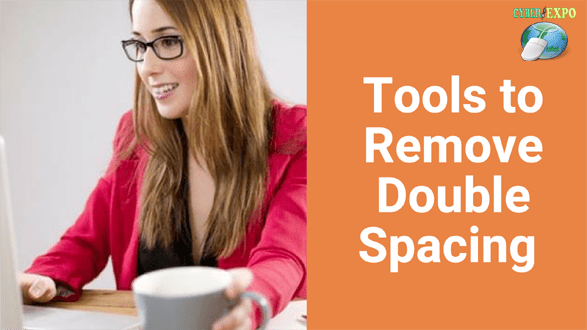 It’s a great step and its take just a few seconds to remove dozens of double space from documents. Also, Read- How to improve typing speed within seven days. How to find wrongly placed Full stop? Step 1: Press Ctrl+H and you will see this type of dialogue box. Step2: type <Space><.> in find option. Step 3: Type Nothing in replace option. Step 4: Click Replace all, and this will replace all wrongly placed Full stop. Shift key and keep pressing F3. For laptop use, you supposed to hold “fn” key.